Every day is earth day at Seaport! The world comes together each year on April 22 to celebrate Earth Day. Since its inception in 1970, the day provides an opportunity to promote sustainability, clean energy, and other environmental causes. We here at Seaport have viewed every day since our opening in 1998 as Earth Day and continue to find ways to become even greener. Named one of the greenest hotels in America, Seaport also promotes a groundbreaking environmental program, Seaport Saves, that is dedicated to sustainability and conservation. We pride ourselves on our litany of environmental firsts. When we first opened, we were one of the first hotels in the country to operate as a smoke-free environment. We were also the first hotel in Boston to offer in-room recycling. 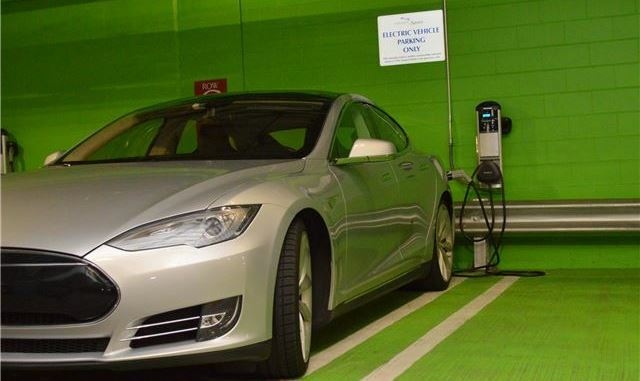 Further, Seaport can boast for being the first hotel in Boston to provide a free electric vehicle charging station. Guests with electric or hybrid cars even receive one free night of valet parking. Our guest rooms aren’t just chic—they’re conservationists! Thermo-glass triple-paned windows in our 428 guestrooms conserve energy by diffusing up to 70% of the sun’s radiant energy. Notice the wall dispensers in the shower for shampoo and conditioner instead of those pesky plastic bottles? They have prevented 100,000 bottles from hitting the landfill each year since they were installed in 2010. You can contribute to conservation, too! Guests have had the option to reuse towels and linens in lieu of getting them changed daily since 2006. Since this implementation, Seaport is estimated to have saved 2.3 million gallons of water. Have you heard the buzz? Our eco-friendly fifth floor roof is bustling with, at times, up to a million bees who provide honey for dishes and drinks at Aura and TAMO Bistro & Bar as well as for sale in Seaport Provisions. Their perch is about to get even greener: we are installing two new raised planters using our own compost and planting carrots, tomatoes, cucumbers, and gourds. We think the bees will love having new places to pollinate and guests will enjoy our roof-to-table treats!